For those of you who don’t know who Johnson Arms is, prepare for a lesson in The Art of Awesome. Brian Johnson is the owner and operator of Johnson Arms, a specialty aftermarket shop for Nerf (and other brands) blasters. Brian is VERY capable of taking an average blaster and completely tricking it out into a one-of-a-kind piece of art. And they aren’t just for show; What Brian produces is fully functional and is meant for battle. I’ll make a post following this one showing a few of his latest achievements, but this post focuses on what he’s whipped up for me. 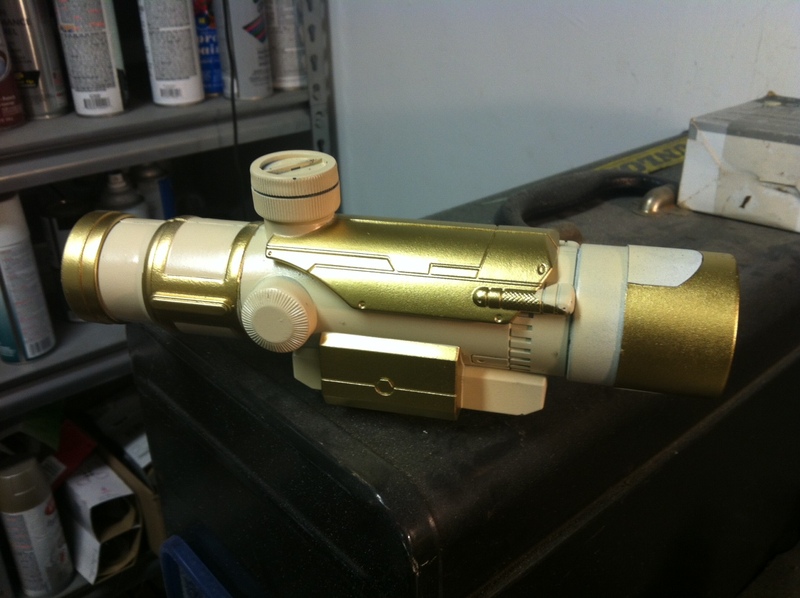 I think Brian threw in some gold dust, eagle feathers, some tech out of a James Bond movie, and a whooooole lotta talent into a cauldron (probably made from crystals from Superman’s Ice Fortress) to make me this; a custom Paladin Scope. 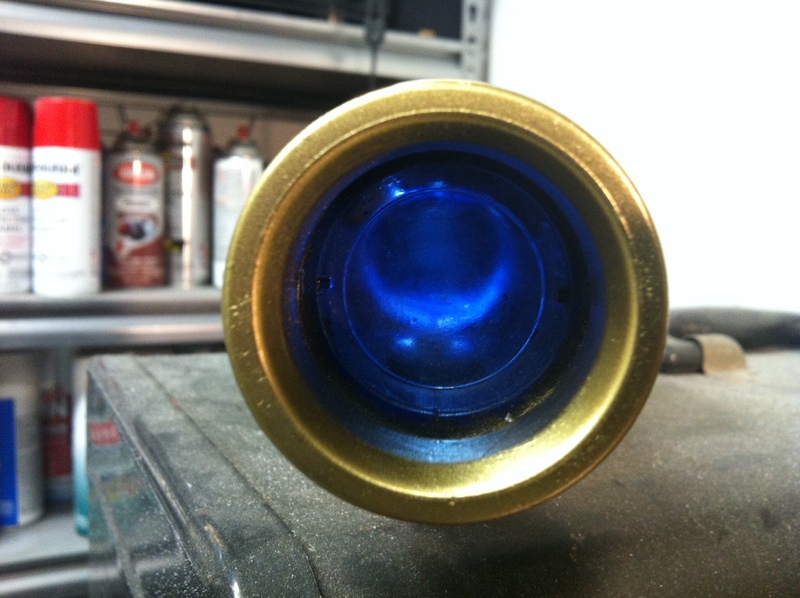 Equipped with an extra knob to give it a sniper scope feel and an internal blue glow to scare the heck out of my opponents, this bad boy will be sitting atop my blaster for the entire HvZ Reloaded series. It isn’t 100% finished as of yet, but here ya’ go, bon appetit. You can contact Johnson Arms about making your own custom blaster by emailing him at JohnsonArms76@gmail.com. HvZ Fallout, coming to a YouTube near you. I was requested by BasicNerf to put a post of his onto this site. 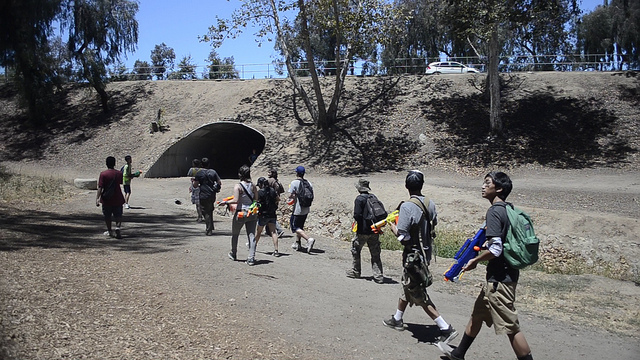 Jason recently survived to the very last handful of humans at the Californian Camarillo HvZ event, and the experience taught him a think or two about zombie survival. Per request, I give you a very very nearly almost direct quote from BasicNerfing (I fixed the grammatical errors) :]. I’ve also included my own thoughts on the issues he mentions. Any additional information I provide is listed in orange. In my two day long games at Camarillo (Day 3 Summer 2011) I’ve had fun, made friends, and learned a bit more about Humans vs. Zombies. I’m here to impart some of this knowledge to the newer players out there. It’s been about 5 weeks since the Summer 2012 game (July 20) so here’s 5 Basic tips, or points of emphasis, that should help you stay alive as a human for as long as possible. The above photo is what I ate for breakfast of the Summer 2012 game, and it still wasn’t enough. 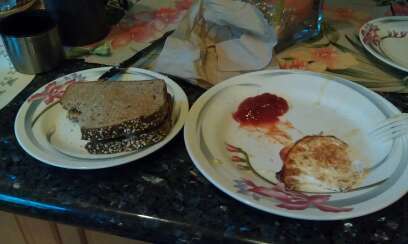 My usual peanut butter and banana sandwich plus an egg on the side filled me up, but by lunchtime it was gone. The mods ran us around the park while removing our safe zone. I felt very drained and on the hungry side. Always make sure you’re appropriately fueled for games and missions. Not only will you feel better, but you’ll be more aware of your surroundings, more alert, and quicker to respond. I really don’t need to go into the benefits of proper nutrition intake during exercise and sporting events, since it’s a pretty common thing. Jason is right, when the zombies are stalking you and you have to be at your tactical pinnacle, you don’t really need a gnawing, grinding stomach bothering you. Good meals = good performance, so fill ‘er up, and bring snacks! 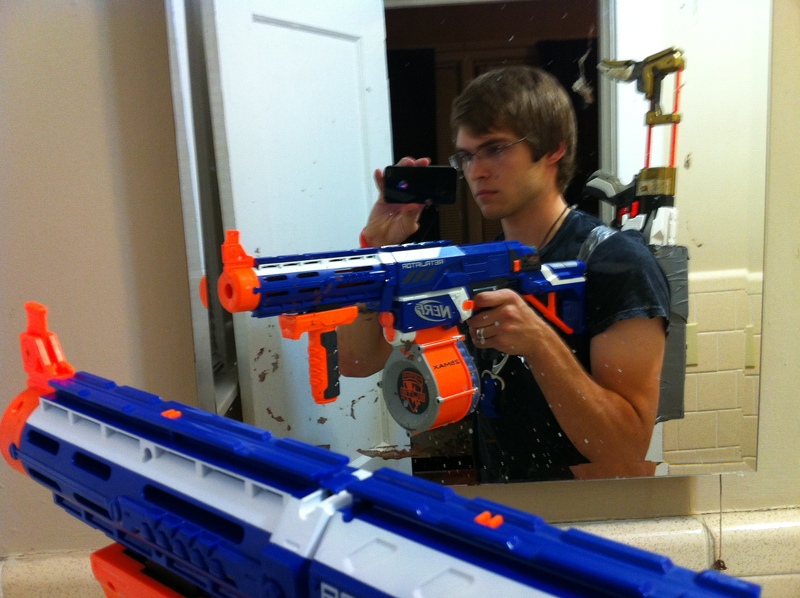 When you play HvZ, your probably gonna play with other people, and then eventually squads and teams will be formed. You gotta prepare to move faster than a simple walk, perhaps even jog or run. What you should really be prepared to do is run for your life if you need to get away from the zombies. In both of my games, I had to run for my life and dodge zombies due to blaster feeding problems and running out of ammo. If I hadn’t been ready to go, then I wound have not lasted until the end of each game. I had to book it in my first game; had to run and dodge in my second game, and I bet you I’ll have to do more running and dodging next game as well. In the same idea, stamina is also important. You can run faster than the other person, but can you run faster then them in say about 15 seconds? Stamina is also important for keeping a high level of performance during the game and missions. 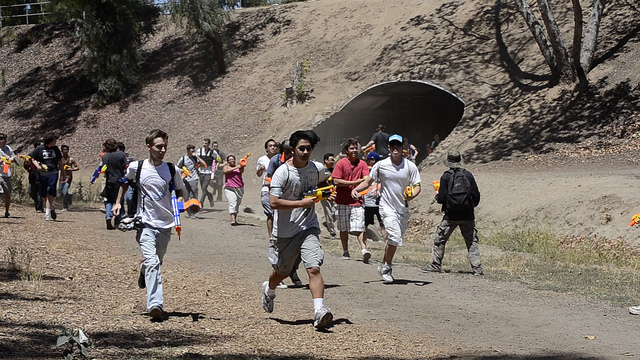 Keep your stamina up in real life, and it’ll pay back in health and HvZ. He’s right again. Zombies would LOVE to find a nice slow meal with tons of ammunition. You’ll get surrounded, run out of ammo, and have your face turned slurpy within five minutes. Get in shape dawg! 3. Get comfortable with your equipment, be practical, be efficient. Guess who got nommed on early? See the asian guy in the center with the tan pants? 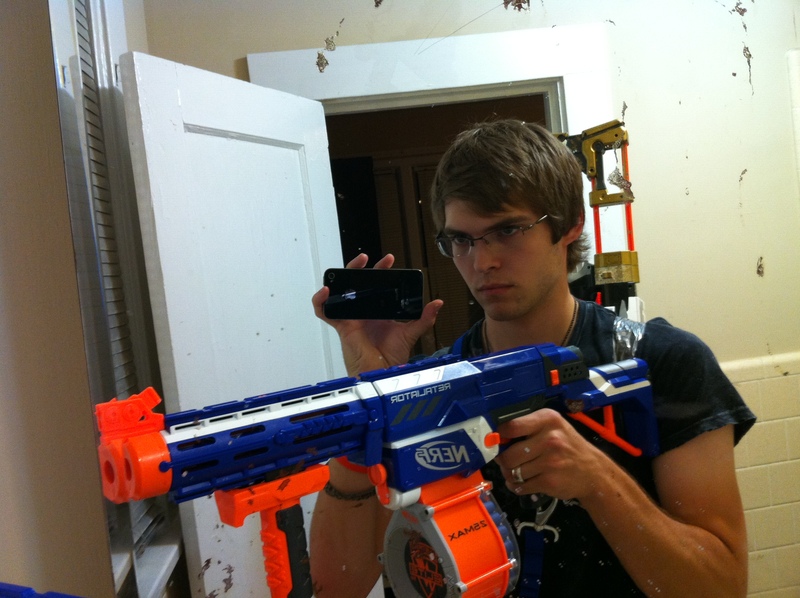 He seemed like the most HvZ ready equipment-wise out of everyone. 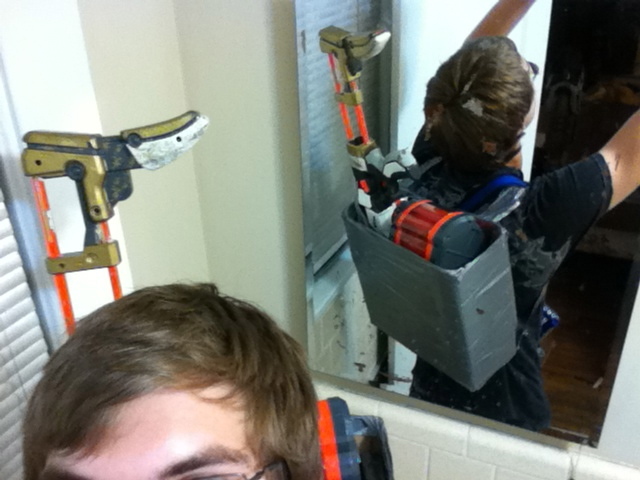 He had a painted, minimized, modded Stampede, with an extra one in the back pocket of his vest. His vest could carry six 18 dart Stampede clips, and the hip MOLLE pouch carried 2 or 3 more. Dude even had hearing aids to help him hear zombies. However, he later complained that his batteries weren’t working on his Stampede. About a quarter of the game through, and he’s already a zombie. My friend to the right of the screen, the one with the glasses, pretty much survived until the end with just what you see on him. No shots at that Stampede guy, but he should have fixed whatever problems he had before he came to the game. I’m not going to give out loadout tips or how to equip yourself during games, but just know that you should be comfortable and knowledgeable with your equipment. Can you fix a jam? How about under pressure? Or while running away? Doing things like this make you proficient, which in turn makes you efficient. And trust me all these things factor in while you’re staring at a zombie [with an empty clip in your blaster, only the zombie doesn’t know it’s empty] and wondering if you can reload in time before he has a chance to know that you’re out of darts in your clip. Again, this totally makes sense. People often get nervous with in the game, and that makes them function not exactly at the top of their game. I’ve even heard of people slapping their blasters to try and make them work because their hands were shaking too badly to operate it properly. Get comfortable with your loadout of choice, and you’ll have one less thing to worry about during the game. If you would like to view the last half of this article, you may view it on the BasicNerfing website here. 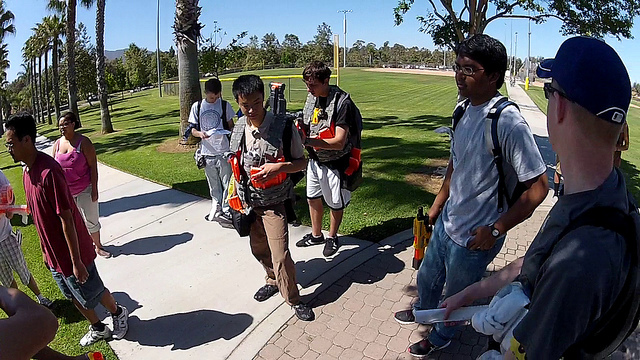 BasicNerf took to the fields of Camarillo for a little HvZ action this past weekend. He used his GoPro camera, and teamed up with Coop from ClickClickBAMF, to make an AWESOME music video covering the event. Check out Basic’s first edited work below! Give it ’till 1:17 for the action to start. Oh, and just braggin’ on him, Basic survived until the last five humans. That’s my man! Check out the original post here. The Lost Episode of HvZ Season 1!!! Tons of you have been wondering where episode 5 (Mission 2 part 4) has been, and I found it! It was hiding under my bed, eating lost Nerf discs and afraid to come out because it felt it wasn’t action-y enough. But I eventually coaxed it into the daylight! I also gave it some commentary because gosh it wasn’t action-y! Sorry for the delay guys! I straight up forgot about this episode and skipped it in production! HvZ season 1 is complete!